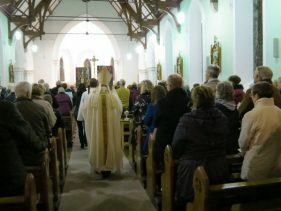 Mission Concludes – The Mission Continues! 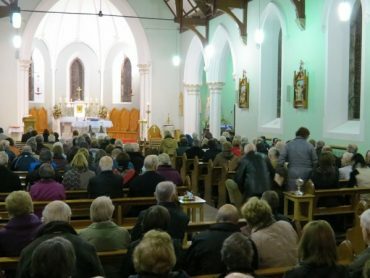 Earlier this evening (November 12th, 2014) our Diocesan Mission came to a conclusion in the Church of St John The Evangelist, Tubbercurry. 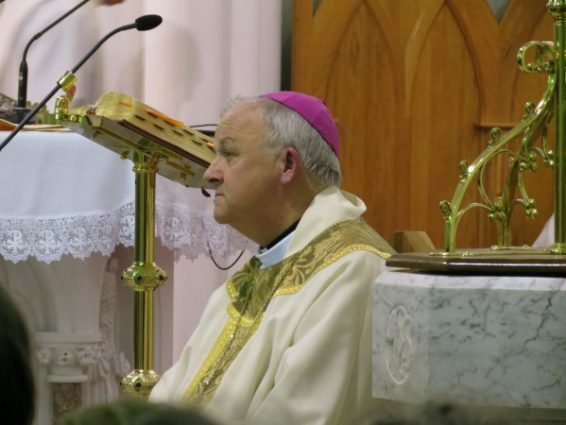 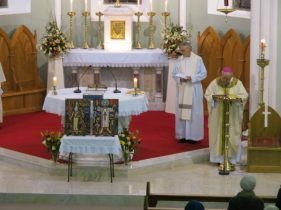 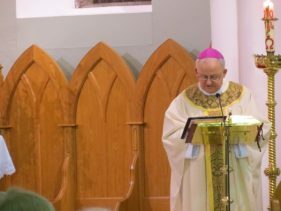 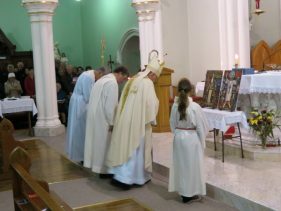 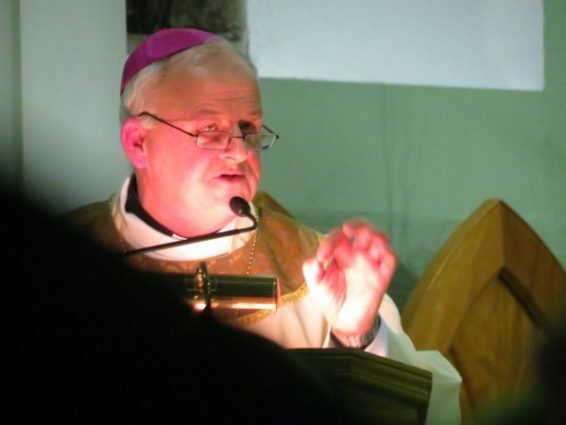 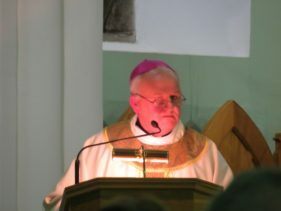 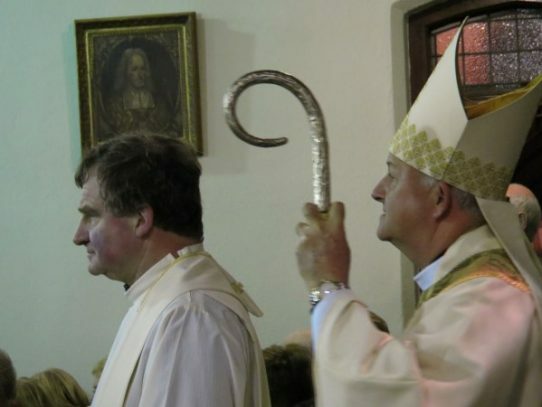 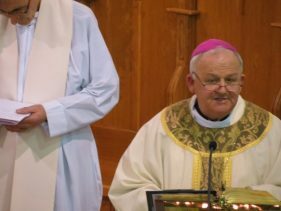 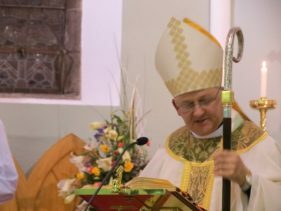 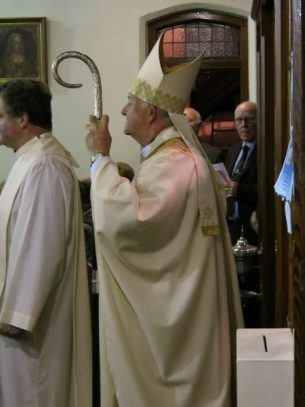 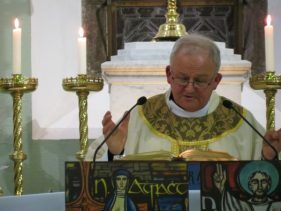 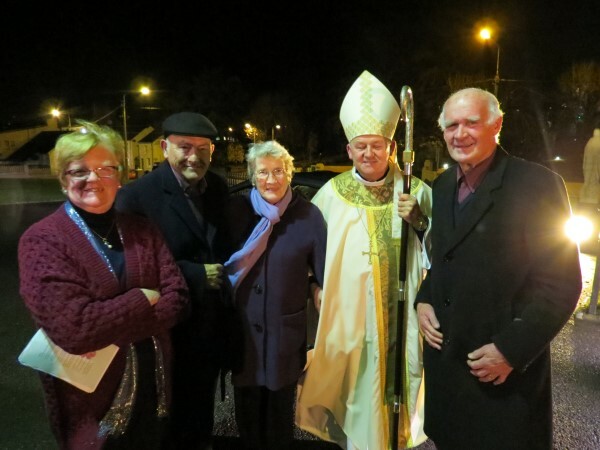 Bishop Brendan was the Principal Celebrant and Homilist at Mass, concelebrated by Frs Martin Jennings and Dan O’Mahony (Tubbercurry Parish) and attended by hundreds of people from the parish and surrounding parishes who have attended the Mission since Monday night. 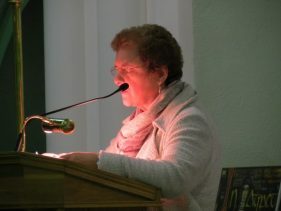 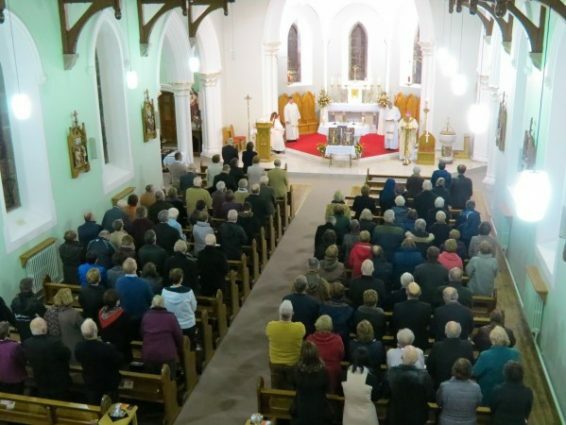 They joined hundreds more who attended similar evenings over the past three weeks in Swinford and Ballymote. 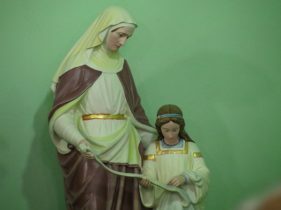 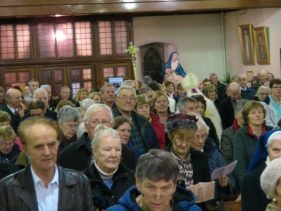 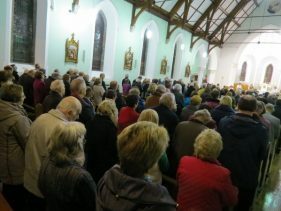 It is difficult to calculate how many people attended in total but it would be fair to estimate something in the region of 1500-2000 people would have come to this first “Diocesan Mission” – a central feature of our Diocesan Year of Prayer. 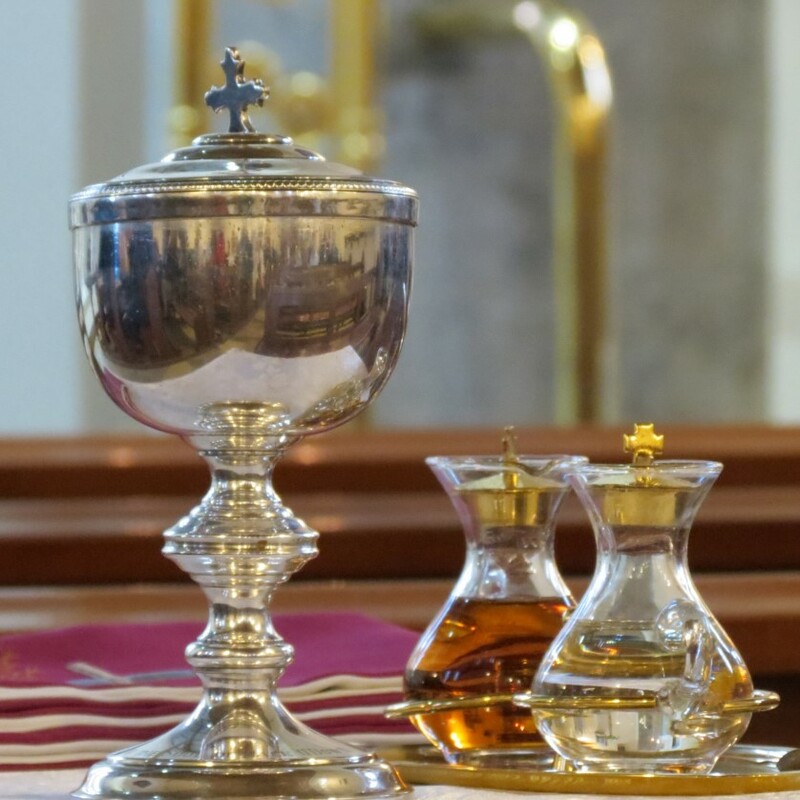 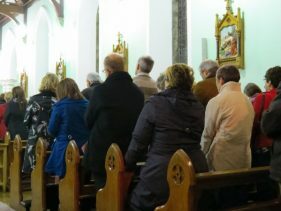 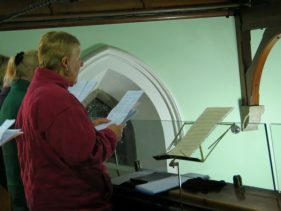 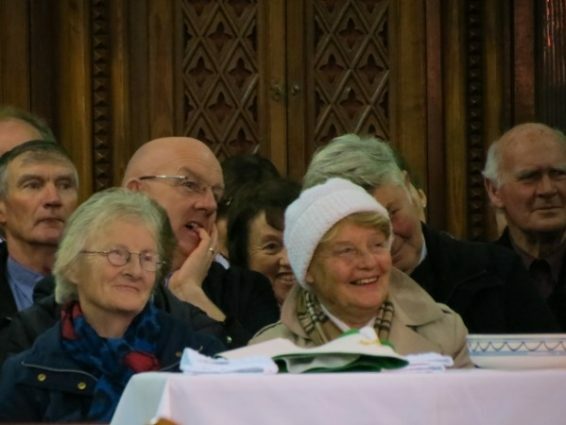 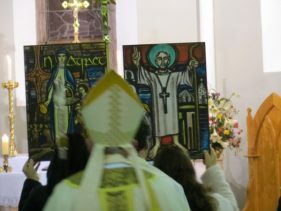 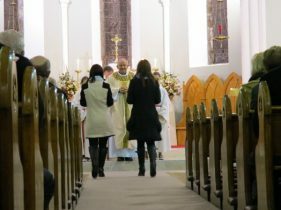 Each week saw a repeated theme of renewal spread out over the three evenings – firstly Personal Renewal, followed by Parish Renewal and culminating in Diocesan Renewal. 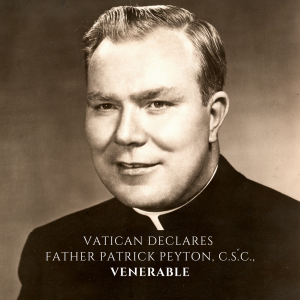 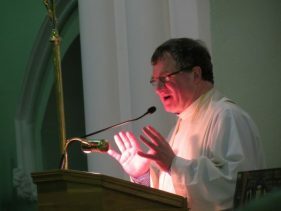 It was clearly evident that our diocese seeks renewal and is committed to journeying in the Faith. 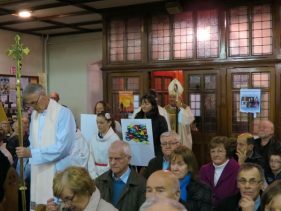 A suggestion was made that a future “Mission” might focus on some of our younger parishioners and it’s a suggestion worth consideration! 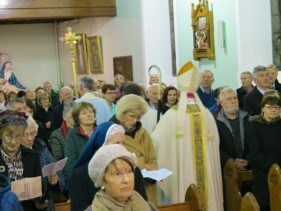 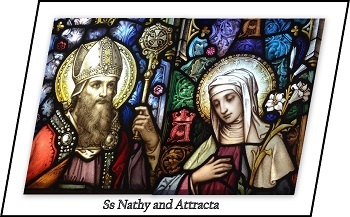 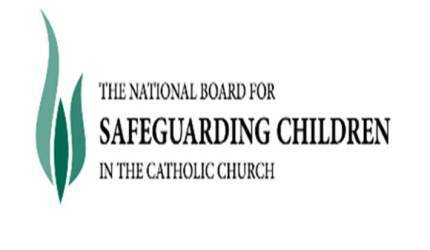 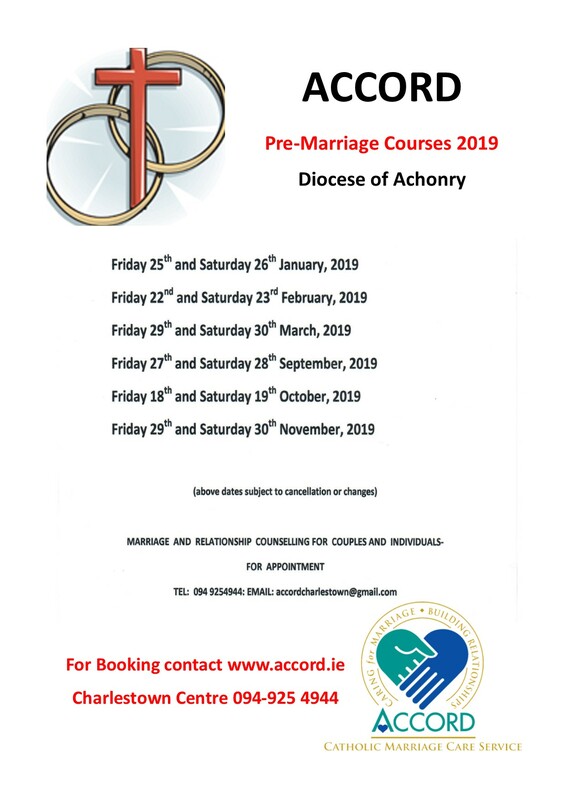 Thanks to the Pastoral Councils and Parishes of Swinford, Ballymote and Tubbercurry who did so much to make everybody feel welcome over the past three weeks. Thanks to the many people who journeyed to be “God’s People” and pilgrims on “A Journey Shared”. 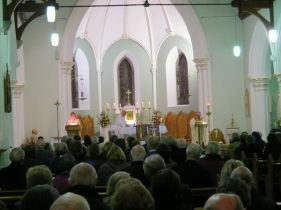 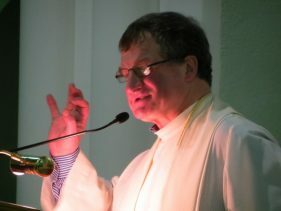 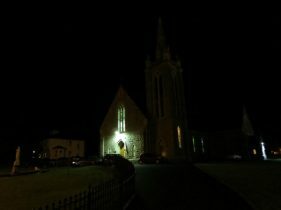 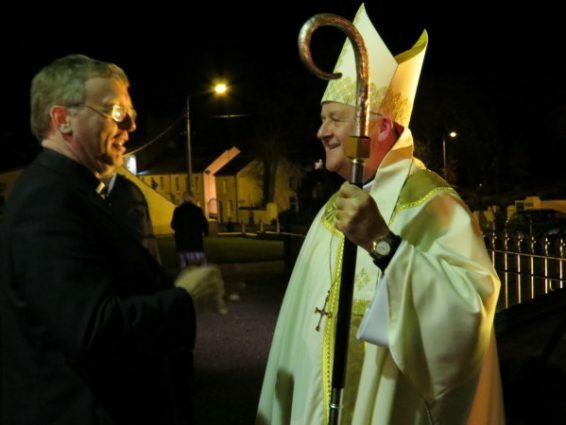 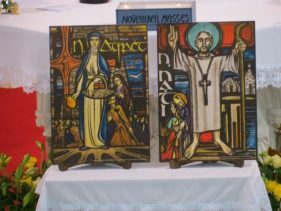 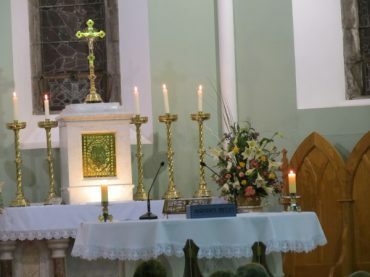 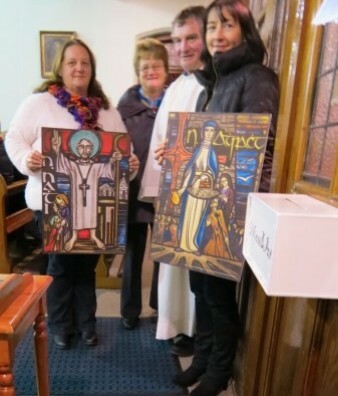 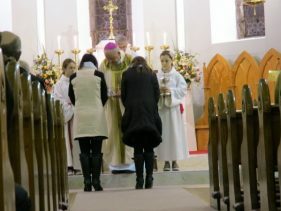 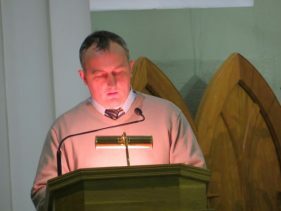 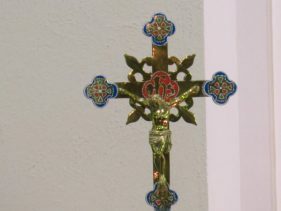 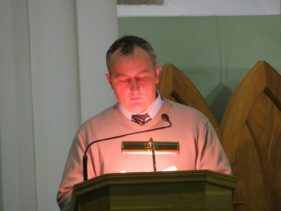 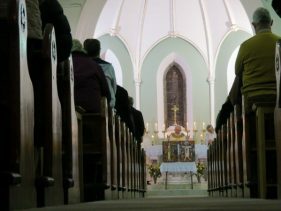 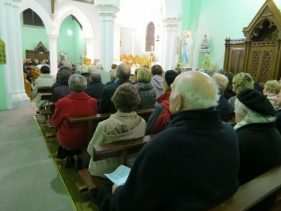 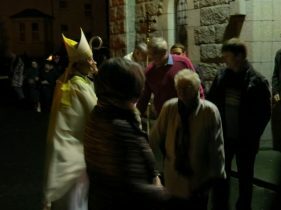 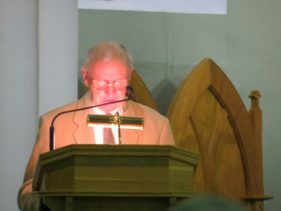 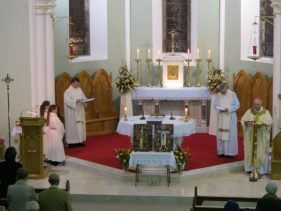 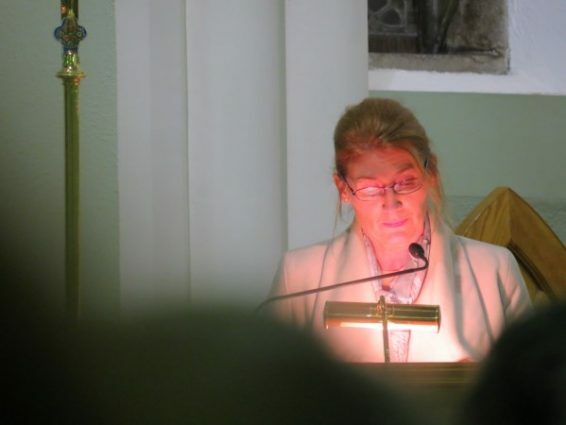 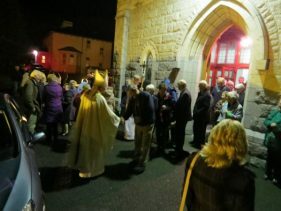 Some images from tonight’s closing Mass in Tubbercurry ….